There may be tools for every job but sometimes you just need something simple that you can have accessible at all times. 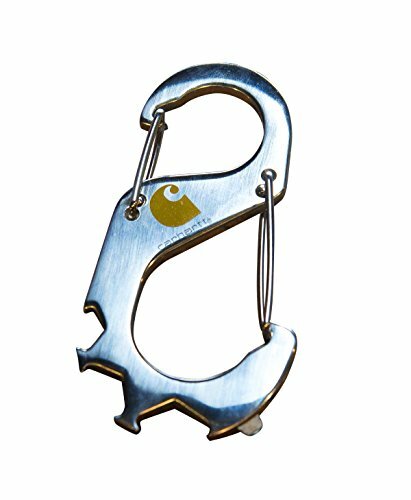 The stainless steel Carhartt Carabiner is the handiest tool around. It’s actually a double carabiner so you can hook things on both ends. And for all those odd ball jobs you may come across, the Carabiner comes equipped with 3 wrench sizes and a flathead screwdriver. Plus we even threw in a bottle opener for those rare times when you're not working.